Song form for multiple voices (minimum 6) and freely realized harmonies with original text. Released on Chanteuse, Songs of a Different Sort (with Jacqueline Humbert), Lovely Music, Ltd., New York, 2004 [CD]. For piano soloist; movements entitled, I. Fanfare for the Sun, II. In Contemplation of Transformation, III. The Right Measure of Opposites, IV. Phaeton Reaches for the Speed of Light, V. Daphne Nods in Consent, VI. Argus’s Eyes See the Code of Small and Large, VII. Callisto and Arcas in the Stars, VIII. The Cost of the Gift of Prophecy–Ocyrhoe’s Forfeiture, IX. Raven’s Wings Telling Tales, X. Hymn of Change, XI. Transformation Canon–For Pythagoras, and XII. Coda–The Past is Determined by the Impermanence of Perfect Memory. Bell Solaris – the Sun rings like a bell, initiating waves of influence that traverse, shape and create space, time and life. Various influences–GONG, the Global Oscillation Network Group, on–line access to the daily spectrum of portents from the Sun's vibrations; myths from which the psyche of our culture has grown; Ovid's catalog of transformations among gods and mortals and chronicles of Pythagoras's lectures on change–are transfigured by the composer's views of history, evolution and a penchant for symbolic replication and anthropomorphism. The compositional craft involves a potpourri of methods for transforming musical shapes, melodies, rhythms and harmonic spaces. Except for some material in movement I. Fanfare for the Sun, all the music in this set of twelve movements results from metamorphoses of the Bell Solaris theme, which is heard in its original form only in movement X. Hymn of Change. Various words, phrases, statements, questions, quotes and poetic images are imbedded in the notation, suggesting thoughts, feelings and symbols enfolded inside the sounds. ". . . unroll for them the scroll of fate, and cheer their panic and their fear . . ."; "Then the crops, in shining trim but still delicate, shoot up in the fields . . ."; Falling, as if diving from a high cliff into the sea, but sprouting wings midway down to make a gentle landing. "Venus's doves"
"Moisture–water"; "Chaos–fire"; "Warmth"; "Like the age of childhood"; "Emergence"; "Formula for creation–the combination of the right measure of opposites"
EXPANDED VERSION OF MOVEMENT III WITH DISKLAVIER AND SOFTWARE/ELECTRONICS AVAILABLE NOW! A spectrum of poignant moments rings in the bell of the sun. Phaeton begins driving the car of the sun. Melody of longing for the speed of light; Phaeton transforms into the photons of light . . .; Phaeton's sisters become a forest of needless mourning. Amber tears shed into Eridanus's shining water. ; The arrow of time denies mother Clymene the sisters' bodies constrained in their form as trees. The amber tears are jewels of jubilation for the innocents discovering them after. ; Freed from remorse, humanity ascends on wings of exultation, reborn from the blood of contemptuous giants. throughout . . . having fled the healer . . . struck by Cupid's lead–tipped arrow . . . remembered by the laurel . . . never fading foliage . . . as a tree nodding in consent . . . contemplating gravity . . . distracted by Io's letters written in the dust. The theory of multiple, independent spaces; The inevitability of apparent symmetries in the laws of nature; Argus's one hundred eyes are placed on the tail of a bird. stillness, ascending; unfolding showers of points of light; growing up as constellations; Why do the molecules wish to replicate themselves? The philosophers are stopped in their tracks. Time as the result of space in motion; You can travel, but you can't take your frame of reference with you. Pythagoras thinks, "Time itself flows on with constant motion." ". . . so the moments of time at once flee and follow, and are ever new." Nyctimene's lament; "Comping" as transformation solo against imaginary, florid lines in harmonics too high to hear; Time as reflection–reverberation between two mirrors; Time as discontinuous; The eagle carries Jove's thunderbolt; Growing resonance; Time the devourer; The raven's wings were turned black for telling tales about time. "The phrase 'being born' is used . . . for beginning to be something different . . . from what one was before, . . . while 'dying' means . . . ceasing to be the same. Though this thing . . . may pass into that, . . . and that into this, . . . yet the sum of things . . . remains unchanged." Pythagorus continues to lecture on change and flux in nature while the anthropocentric myths assuage human frailties. "All these creatures, however, derive their origin from something other than themselves. There is one living thing, a bird, which reproduces and regenerates itself, without any outside aid. The Assyrians call it the phoenix." I am deeply indebted to my life-long friend and musical colleague, Katrina Krimsky, for requesting and, indeed, urging that this work be composed and for the great efforts she devoted toward helping me bring it to completion and preparing its premier. Both Katrina Krimsky and composer, Steven Hoey, assisted me in preparing the printed score and Steven Hoey helped realize some of the music in movement IX from the harmonic and rhythmic schemes in my sketches. This music is lovingly dedicated to the memory of Evelyn Marie Smith Humbert, whose wisdom and repose in life were a guiding light and in whose presence an initial version of the Hymn of Change was first written in 1992. 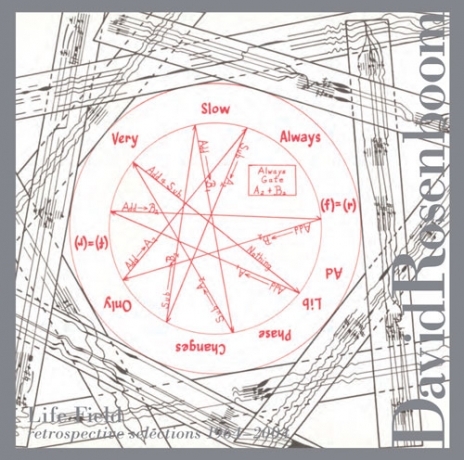 For full orchestra; always transforming and evolving musical shapes are arranged to create a rich counterpoint language; sixteen themes and their mutations appear in six movements set against the background of an anchor theme like rocks in a Zen garden; movements entitled, I. Melody–A Luminous Calm (Prologue), II. Idea–Seeing Mountains Through Spiders’ Webs, III. Nature–Growing Sounds, IV. Mood–When the Ground Screams, V. Spirit–Dragon Veins, and VI. Melody–As if in Clouds (Epilogue). Seeing the Small in the Large is a twist on the conventional notion of seeing the universe in a grain of sand. It is a musical celebration of growth, transformation, and youthful energy, in which we see a grain of sand when viewing the entire cosmos. It is also a garden of always-transforming musical shapes and contrapuntal textures developed through techniques I have termed melodic transformation and melodic evolution. From this transformational counterpoint, diverse musical forms emerge and grow, and melodic shapes intertwine like vines, trees, and shrubs, all sharing the same space, adapting their growth patterns, changing their forms, one into another, bending their contours, now accentuating one feature, now exaggerating another, now diminishing still another. When melodic evolution appears, we hear the shape of one melody being continuously varied in its up-and-down, pitch contour and rhythm until it begins to sound like another theme and vice versa. This always happens with pairs of melodies, though sometimes multiple pairs evolve at the same time. From this fertile ground of transforming shapes, harmonic forms emerge, reaching for sources of energy and producing an elaborate, lush forest of rich growth forms with their attendant dramas of interactive, symbiotic shaping. This flora of musical shapes is supported when necessary by a harmonic construction I call expanding chords. These harmonies are built by starting with two modes (scales), recombining features of the two modes, and building symmetrical (i.e. major-minor, harmonic-sub-harmonic), vertical constructions on the notes of the recombinant mode. Then, the internal symmetries are broken by choosing a privileged note in the mode, because of some particularity of its setting, and building expanding dyads (two-note sets with increasing interval sizes) using notes from the recombinant mode. The harmonic space between the two notes of each dyad are, then, filled in to make chords with notes taken from the vertical constructions. These are chosen either by referencing (privileging) the melody, upper tones, or the roots, lower tones. Many sets of chords and chord progressions are, thus, produced, each with its own sense of harmonic distance from a reference or key tone. Harmonies are drawn from these sets to form the tonal matrix of the composition. The starting modes are not chosen arbitrarily. Rather, they come from an initial, melodic inspiration, which begins the whole process. Usually, this melodic idea has at least two tonal identities. Thus, the identification of the two modes follows naturally. Sixteen themes appear in the complete work. Each is like a genetic proscription, a beginning for transformations to come. I think of these themes like rocks in a Japanese, Zen garden, such as Royanji. Each theme or melodic rock is placed carefully in its position against the ground or sand of one particular theme, called the anchor theme. The anchor theme is the substrate of the garden. It is an exuberantly romantic melody, a celebration of growth, which only appears in its unaltered form at the very end of the work, in Movement VI. Consequently, if this were compared to the familiar theme and variations, it would be like hearing all the variations first and, then, finally, hearing the theme from which everything else is derived at the end. In our case, we hear many transformations of this theme throughout the six movements of the piece, often highly disguised, before we hear it unaltered. Each movement is defined by two to five of the other theme rocks. In almost every case, these themes are made to evolve towards and, then, away from the anchor theme. Thus, the theme rocks become seeds for sixteen families of forms, which interact in subgroups within each of the four inner movements and always include a transformation of the anchor theme. The six movements outline a cyclic progression among ways of thinking about human expression, represented in the arrangements of the rock garden, from melody, to idea, to nature, to mood, to spirit, and back to melody. In Movement I, Melody—A Luminous Calm (Prologue), which sets the stage for the idea of melody, the anchor theme is the basis of everything; though, again, we never hear it in its original form. This movement is atmospheric and portentous, and the anchor theme is imbedded inside a violin solo at the end. In Movement II, Idea—Seeing Mountains Through Spiders' Webs, we observe something large, a mountain, through the orienting geometry or measuring grid of the naturally produced, spider's web, like the astronomer who sees the universe through a graticule placed inside a telescope. Movement III, Nature—Growing Sounds, portrays the silent, but relentless movement of slow growth, like the sound of corn growing, and explores the poignancy of juxtaposing growing pains with growing sounds and the happiness of both. Movement IV, Mood—When the Ground Screams, refers to the messages we receive from the ground on which we stand. The two most prominent characteristics of this movement are transformed melodies with grace notes and a fast-cycling rhythm, in which a short melodic pattern is transformed and re-combined in myriad ways to produce a hard driving, rhythmic cascade. It is intended that the grace-note melodies be stretched away from a classically elegant, Western interpretation, towards the sense of bent-pitch ornamentation in certain kinds of Asian, bamboo flute music. The movement builds momentum as the short pattern cycles, constantly changing, evolving towards and away from the anchor theme while being combined with the ornamented melodies. Poignant, freely interpreted, instrumental solos bracket the movement. The dragon of Movement V, Spirit—Dragon Veins, is of the Eastern mind, deified by Taoism, a mysterious symbol of good fortune, not the one of the Western mind, an object of terror and portentous omens to be slain by a would-be hero. The Earth’s mountain peaks, ridges, and hills are visible manifestations of our dragon’s veins, channels for the flow of ch’i, the natural, potential energy of the Earth. These veins must not be severed, however, lest misfortune ensue from the chaotic flow of energy, unleashed from the gapping wound. Two dance-like sections in triple and duple meters grow from this spirit of ch’i. After an exposition of intricate, transformational counterpoint, thematic mutations set in complex hocket patterns settle into a ground ostinato, against which more punctuated variations are set for brass and piccolo. The second part begins slowly and accelerates through a whirling, canonic cascade and chorale to a fanfare-like ending for the dance. The final Movement VI, Melody—As If in Clouds (Epilogue), is, again, set in two parts. The first takes a fragment of the anchor theme through a continuously rising cycle of pitch modulations, beginning with the lowest contrabasses and ending with a very high-pitched, distant, off-stage piccolo. This is reminiscent of a spiral canon or canon per tonos. (In a spiral canon, the melody ends on a tone that is one note higher than where it starts. In this canon, however, each fragment ends paradoxically a major third below its beginning, while the overall continues to ascend.) Numerous, antecedents for such ascending music have inspired me. These include Bach’s “Ascendente modulatione ascendet gloria regis,” i.e., “May the glory of the king rise as the modulation ascends,” from the Musical Offering, and those who have experimented with a psychoacoustic illusion known as the “audio barber pole,” or Shepard tones, which seem to glissando upward endlessly, (ref. R. Shepard, J.C. Risset, and J. Tenney). After the music returns to stillness, the anchor theme, from which so much of the transformed material in the preceding movements is derived, is finally heard in its full-blown, romantic splendor. At the very end, a reminder of the rising theme fades through harmonic clouds into the melodious sky. Seeing the Small in the Large was composed originally for the Orchestra Da Camera of the Colburn School of Performing Arts in Los Angeles, the Idyllwild Arts Symphony Orchestra, and their director, Richard Rintoul. Much of the music was written in practice rooms and other places in and around these orchestras’ activities, while I observed these talented, young musicians at work. Self–organizing, interactive multi–media chamber opera for two performers with computer music systems capable of measuring auditory event–related potentials (ERPs) from their brains, two improvising musicians, narrator, computer performer(s), computer–controlled laser disk video projection, slide projections, pre–recorded voices, OBI software written in HMSL (Hierarchical Music Specification Language), and real–time digital synthesis system. A non–linear narrative form in which texts, music, and image sequences are ordered by the results of analyzing brain signals from the Hypatia and Jefferson characters; partially documented in software, program notes, texts, and the monograph, Extended Musical Interface with the Human Nervous System, Leonardo Monograph No. 1, ISAST, International Society for the Arts, Sciences, and Technology, Berkeley, CA, 1990; revised version (1997) available through Leonardo Electronic Almanac, Electronic Monographs; one realization released on Transmigration Music, Centaur Records, Inc., Consortium to Distribute Computer Music, Vol. 30, CRC 2940, , Baton Rouge, LA, 2000, CD. This relatively recent work received four major performances in 1995–97 at the Krannert Center for Performing Arts on the campus of the University of Illinois in Urbana, at the Los Angeles County Museum of Art, at Merkin Concert Hall in New York and at the Museum of Contemporary Art Theater in Chicago as part of ISEA97 (International Symposium on Electronic Art). A full–scale production requires two brainwave performers who play the characters of Hypatia and Jefferson, two improvising musicians (one capable of producing sharp transient sounds and one capable of long sustained sounds) who are the musical "doubles" of Hypatia and Jefferson, a narrator and two performers for the computer media which include real–time digital signal synthesis and processing, brainwave data acquisition and analysis, MIDI devices, computer controlled video laser disc with projection, slide projectors with dissolves, stage lighting, interactive HMSL software, sound reinforcement and audio mixing. Auditory evoked responses are extracted from the brainwaves of the performers and are used to construct an electronic musical fabric, to create sequences of transforming visual icons and select and arrange text materials from sampled voices. The on–stage musicians provide spontaneous counterpoint to complete a kind of self–organizing opera. Los Angeles County Museum of Art: Sara Roberts, brainwaves (Hypatia); Daniel Rothman, brainwaves (Jefferson); Susan Allen, electric harp (Double 1); Wadada Leo Smith, trumpet (Double 2); Nicholas England, narrator; David Rosenboom & Kent Clelland, computer media. Krannert Center, Urbana, IL: Heidi Von Gunden, brainwaves (Hypatia); Jason Scher, brainwaves (Jefferson); Ray Sasaki, trumpet (Double 1); Erik Lund, trombone (Double 2); William Brooks, narrator; David Rosenboom & Kent Clelland, computer media. Merkin Hall, New York: Angela Blemker, brainwaves (Hypatia); Nathaniel Reichman, brainwaves (Jefferson); David Rosenboom, MIDI grand piano, computer, Morpheus synthesizer (Doubles 1 & 2); Robert Ashley, narrator; Kent Clelland, computer media. Museum of Contemporary Art, Chicago: Kimberly Olsen, brainwaves (Hypatia); Trevor Martin, brainwaves (Jefferson); David Rosenboom, MIDI grand piano, computer, Morpheus synthesizer (Doubles 1 & 2), narrator and computer media. In the late 1960's I became fascinated with new developments in brain science as they related to musical perception and the emergence of new musical languages. Ideas from cybernetics, notably those relating to the self–regulation of systems by means of feedback, were finding their way into psycho–biological research, resulting in an explosion of interest in something popularly known as, biofeedback. The notion of self–regulation, that individuals may be able to achieve a degree of conscious, willful control of particular body functions formerly thought only to be regulated by unconscious, autonomic processes, captured the imaginations of many people. My own interest in biofeedback centered around the notion that self–regulation of brain functions, as could be observed through monitoring aspects of electrical brain activity, was closely related to certain processes involved in the evolution of new musical styles. Self–regulation by means of feedback is also closely related to some ideas about evolution, and models of evolution appear as a consistent, thematic referent throughout much of my musical work. Consequently, I began a long period of research in information processing modalities of the nervous system as they relate to aesthetic experience and creative activity. I produced many musical compositions and interdisciplinary, artistic pieces in which the material forms in the works were generated spontaneously by means of direct monitoring of electrical brain activity and/or other body functions. I published numerous articles about this work, two books, Biofeedback and the Arts and Extended Musical Interface with the Human Nervous System, and several recordings. This was, however, only a beginning. In 1976, I began creating a work entitled On Being Invisible, which, for me, contains the richest aesthetic, symbolic and metaphorical content arising form the import that biofeedback systems had on my work as a composer. On Being Invisible is a self–organizing, dynamical system, rather than a fixed musical composition. The title refers to the role of the individual within an evolving, dynamical environment, who makes decisions concerning when and how to be a conscious initiator of action and when simply to allow her or his individual, internal dynamics to co–evolve within the macroscopic dynamics of the system as a whole. Consequently, the work is always ongoing. Within the corpus of my music, the title serves as a label for a period of work with these ideas from about 1976 to 1979. A recording of an early version was released in 1977. Recently, after concentrating on other things for several years, I have begun new work with this system, calling it, On Being Invisible II. This new work is stimulated partly by advances in technology that only now make the realization of earlier concepts possible, and it is partly the result of interest in applying new knowledge within a still very rich musical paradigm. One of the primary objectives in this research was to achieve the technical capability necessary to create an attention–dependent sonic environment. I wanted to create a situation in which the syntax of a sonic language orders itself according to the manner in which sound is perceived. To accomplish this, components of the electroencephalogram (EEG) recorded from the brains of on–stage performers, known as event–related potentials (ERP's), are detected, measured and analyzed. ERP's are transient waveforms in the EEG associated with the occurrence of stimulus events having a high degree of salience – particular meaningfulness – to the subject emitting these brainwaves, always in relation to a particular context of surrounding events. Next, computers are programmed to produce a stream of sonic events according to some predetermined starting point or compositional method devised by the composer. The computer software also contains a partial model of musical perception, with which it attempts to predict what events in its own, musical output might be perceived by the subject as having significance in the emerging musical structure. Usually, these correspond to boundary points, such as the end of a phrase and the beginning of a new phrase, a significant change in texture, or changes in the pattern grouping of phrases into sequences or other higher level forms. A powerful, widely–used software tool which I co–authored, known as HMSL, (Hierarchical Music Specification Language), is used to manipulate formal musical elements referred to as morphologies, or morphs, for short. ERP's from the performer–subjects are then analyzed to determine if the computer's predictions correspond to signals from the brain that should accompany important, attention–securing events. If they do not, the music generating algorithms are allowed to mutate into new forms and new predictions are tested. If the predictions are confirmed, the kinds of events reliably associated with these confirmed predictions gain prominence in the musical fabric. In this way, self–organizing, musical forms can emerge that are related to the shifts of attention experienced by the performer–subjects and that can be confirmed by brain signal measurements. In modern terminology, this system exhibits many of the characteristics of what we call, complex adaptive systems. Such systems are used to model the evolution of complex life forms that are often governed by simple, underlying rules. Thus, an interactive, musical system is produced that can spontaneously evolve new, emerging, musical orderings, and perhaps, even languages. Over many years of performing, writing, producing recordings of brainwave music, and further thinking, the components of this feedback system began to remind me of characters in a mythological drama, the spontaneous forces of creativity, the drive to converge upon ordered relationships in society, the counterbalancing tension of divergence from order as our consciousness loses its focus on orderings from the past, and the fundamental uncertainties regarding forces in nature that are only partially knowable. Consequently, I began to think about On Being Invisible in theatrical or narrative terms. This raised an important question. If music combined with theater can be loosely termed, opera, how, then, does one go about creating a self–organizing opera? This question may never be fully answered, but it is far too stimulating to my imagination to stop trying. On Being Invisible II (Hypatia Speaks to Jefferson in a Dream) is an experiment with this question. The setting is a dream in which Thomas Jefferson hears the voice of the Greek, woman, astronomer, mathematician, and philosopher, Hypatia, traversing the centuries of time and the space of continents, mingling with his own internal voices as he is writing one of his later–to–be–famous documents. The components of ideological conflict that emerge from this scene remind me of the tension associated with the individual performer in On Being Invisible, who must always negotiate a thin dividing line separating being part of something larger than one's self and trying to willfully direct a naturally evolving process. Hypatia, an Alexandrian who was murdered in A.D. 415 for being both Greek and a woman who dared to lecture, resided at a focal point of change in the old world, the end of Classical Greek philosophy and the beginning of the Dark Ages, the foundation of Neo–Platonism and the emergence of Plotinus, the transformation of Christianity from a moral teaching into a brutal instrument of political power, the appropriation of Plotinus and mysticism by the Christians to obscure thought and achieve totalitarian, political control, the decline of Alexandria as an intellectual center, symbolized by the destruction of the fabled library, combined with an unprecedented outpouring of romantic, multi–sexual poetry, and the labyrinthian racial–political conflicts there among Greeks, Jews, Ptolmaics, remnants of Egyptian antiquity, Copts, Islamics, Europeans, and numerous others. These are just a small sampling. Similarly, Thomas Jefferson was a figure wedged in–between the end of the Age of Enlightenment and emerging Romanticism, an American hero who espoused freedom of thought and religion but also kept slaves, a revolutionary torn between rationality and romance, who's relationships with women, from slaves to European intellectuals, symbolized the psycho–sexual dilemma of a young nation, whose brilliant inventiveness and creative genius was at once steeped in Neo–Classicism and evinced a great contempt for Plato, who was both a champion of the political avant garde and a player in the new dynamics of wealth and power, a president in the new world who was also obsessed with the mathematics of miscegenation. The invisibility manifest in this scenario is represented by the dream state of Jefferson in which these conflicts energize his thoughts and entreaties to wisdom are transmitted to him through warps in space–time by the reincarnated mind of Hypatia. This realization of On Being Invisible II is set for two performers, representing Hypatia and Jefferson, whose brain signals are being monitored and event–related potentials analyzed. The results are used to create the forms of electronic music we hear, sequences of visual icons we see through computerized video projection, and arrangements of words spoken by electronically sampled voices. The words come from various texts by Jefferson, including selections from his letters and writings on the arts and philosophy. Hypatia's words are speculative. They come from modern authors, original words by the composer, and selections from Hypatia's contemporaries. Each of these characters has a double image on stage in the form of a musician. These are the ghost doubles of Hypatia and Jefferson, in the sense of being their personal angels and also representing human beings' propensity to make copies of themselves in nefarious forms. These musical parts are written for master improvisers to provide musical glue for the performance. Finally, a narrator represents the dream state and a neutral form of the emerging properties of a new, global consciousness. Conception and Composition: David Rosenboom, 1994 – 95, based on the earlier work, On Being Invisible, (an attention–dependent sonic environment), 1976 – 1979. Technical assistance and computer/video image design: Kent Clelland. In collaboration with Charlie Haden and Trichy Sankaran, improvising trio with two Yamaha Disklavier pianos, pitch follower and event triggers, HFG (Hierarchical Form Generator) computer software, and three computer music systems responding to piano, bass and South Indian mrdangam. Sample recording released on Hallways, Frog Peak Music, FP002, Hanover, NH, 1993, CD. Developed in collaboration with Anthony Braxton, duets for MIDI grand piano, responding piano controlled by computer, with sopranino, soprano, and alto saxophones, clarinet, and flute; each piece is guided by particular interactive structures and musical shape transformation vocabularies implemented with HFG (Hierarchical Form Generator) software. Recorded at the Center for Experiments in Art, Information, and Technology at California Institute of the Arts, released on Two Lines, Lovely Music, Ltd., LCD 3071, New York, NY, 1995, CD. For soloist with MIDI keyboard or pitch follower, HFG (Hierarchical Form Generator) computer software, and automatically responding instruments; an adaptive extended instrument is created, which parses improvised musical material that can not be predicted in advance by employing a partial model of musical perception modeled in software. Predictions, Confirmations, and Disconfirmations was released on Life Field—Retrospective Selections 1964-2004 on Tzadik Records.